Last week I blogged about being thankful for your blessings and sharing them with others. Last week I went shopping for the Shoebox Project for some items to give to a woman in a shelter. 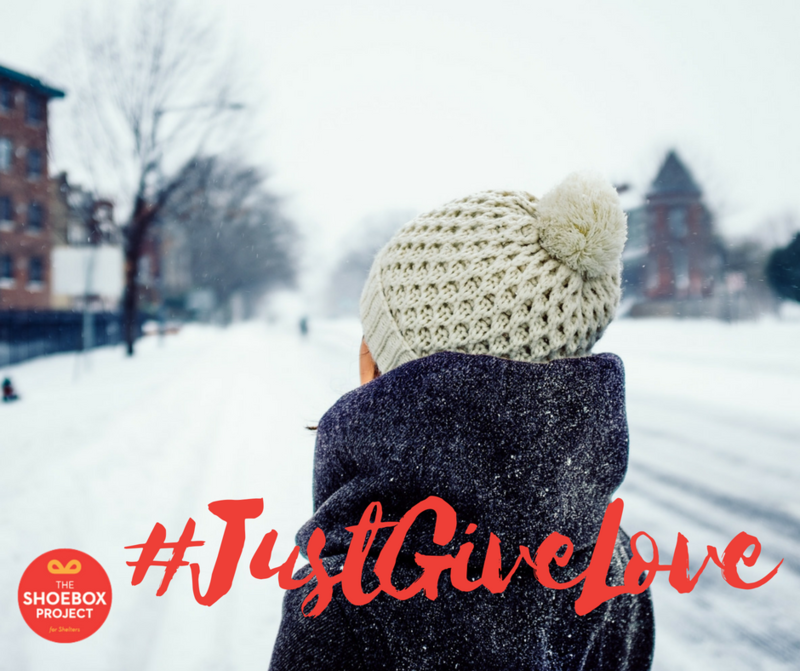 Some of these women are homeless, some are leaving high risk situations (or are trying to), and others just need some extra love at this time of year. As I walked around Shoppers Drug Mart, I thought about what I would want, what I would need and what would make someone feel special. I got some personal care items, but also a cozy hat, some candy, and a gift card so she can buy what else she may need. I spend about $50 which is the recommended amount so everyone receives approximately the same thing. It was suggested we line the box with tissue paper to make it extra special and to write a little note of encouragement. I got this box at Dollarama - simple! Dave snapped this picture of me while I dropped it off at the drop off location in our neighbourhood. The deadlines for dropping off your own box are different, but in Toronto, the last day is Friday, so if you have time, make your own box and bring some joy to a woman in your area. So the first time I heard about this project was through your blog so last year I raced to get stuff together as our deadline is the end of November. This year I had enough time so i canvassed enough neighbours and friends to get 6 boxes together. Thanks for sharing this wonderful project!! Oh I'm so pleased! What a nice idea for the neighbourhood to do! Merry Christmas from Toronto SAM!